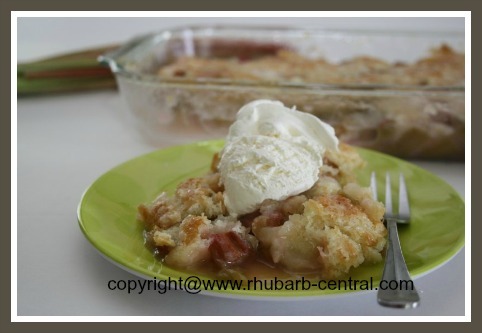 This Rhubarb Cobbler Recipe makes a quick and easy recipe for fresh rhubarb, make if for dessert today! Serve this snack or dessrt warm or cooled, with ice cream, frozen yogurt, whipped cream, or whipped dessert topping. A fruit cobbler, (or a vegetable cobbler, in this case(! ), does not get any better tasting than this! 1/8 tsp. salt, plus a 1/16 tsp. 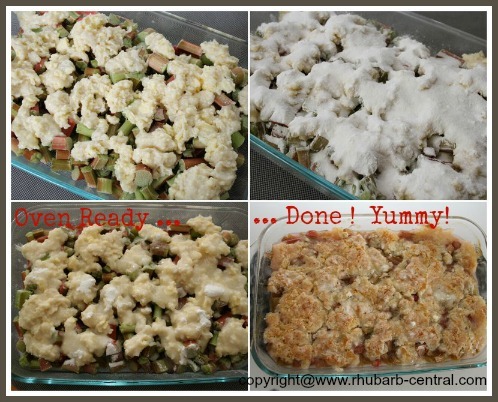 Spread the chopped rhubarb into the bottom of a greased, 9" x 13" baking dish. In a bowl, combine 3/4 cup of the sugar, the butter, and the salt. Add the flour, baking powder and the milk, and stir just until combined. 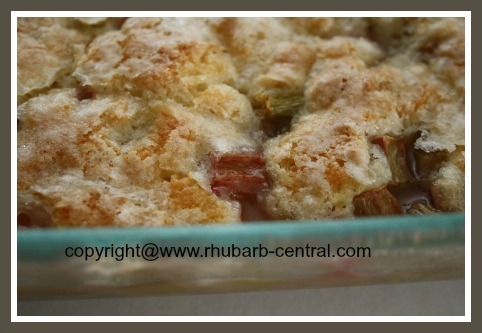 Spoon the above mixture over the rhubarb in the baking dish. In a small bowl, combine the remaining 1 cup of sugar, and the cornstarch and the 1/16 tsp. of salt, and sprinkle this mixture over the rhubarb. Pour the water evenly over the entire top of the contents in the baking dish. Bake at 350° F for about 50 - 60 minutes, or until the topping is golden, and the filling is bubbling up as a thick sauce. 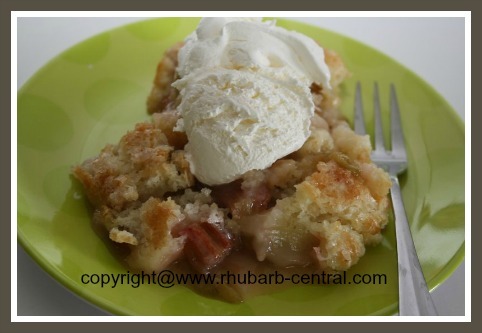 Serve the Rhubarb Cobbler plain, or with a dollop of ice cream, frozen yogurt or whipped cream! Not only does rhubarb taste amazing, but it is nutritious too! 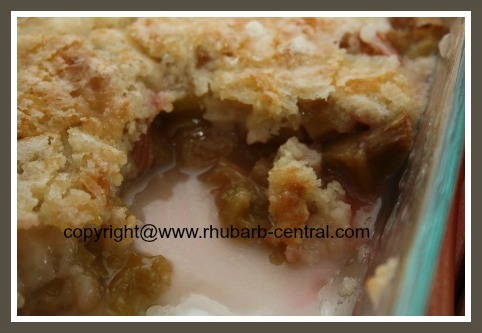 Rhubarb, also known as "the pie plant", contains potassium, Vitamin C, Vitamin A, and calcium. It is also a good source of natural dietary fibre. 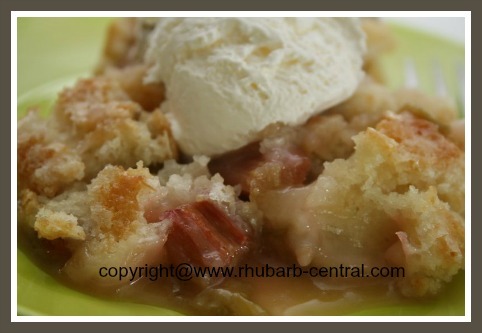 Rhubarb is low in calories too! One cup of diced, raw rhubarb contains only 26 calories.